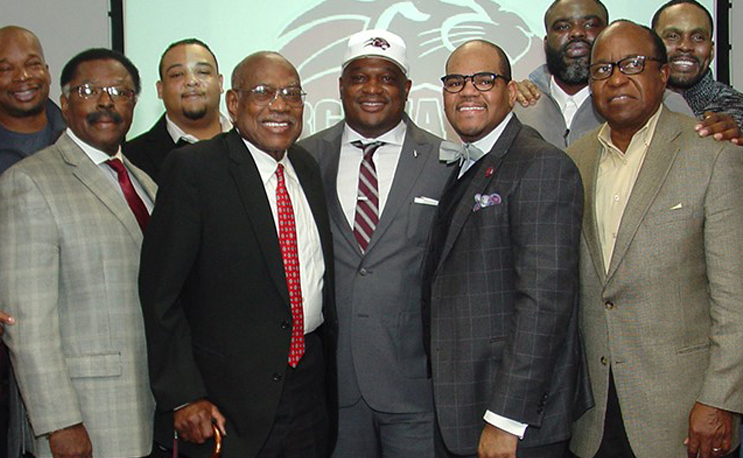 Virginia Union University has selected their new football coach in Alvin Parker, Ph.D. Parker will be the 27th Head Coach in Virginia Union Football’s 117-year history. The announcement was made on Monday, December 18, on the campus of Virginia Union University. Parker was an Offensive Coordinator for the Panthers for five seasons. He was an assistant coach for the Panthers when they went to the CIAA Championship in 2000, 2001, 2003. He also coached André Braxton, the CIAA’s all-time leading rusher, and single-season touchdown scorer. Virginia Union’s Athletic Director, Joe Taylor, had high praises of Parker as a player, coach, and a scholar. As a player, Parker earned four varsity letters with the Panthers; he was the team captain of the 1997 and 1998 squad and was named offensive MVP in 1996 and 1998. While at Elizabeth City State University, Parker was the leader of one of the nation’s premier offensive attacks at ECSU. The American Football Coaches Association recognized Parker for his dedication to his team by being selected as a 2014 and 2013 Assistant Coach of the Year Finalist. The Vikings won CIAA division titles in 2006, 2008, 2009, 2011 and 2012 and played in the Pioneer Bowl in 2009 and 2012. Parker was the offensive coordinator at Saint Augustine University the past two seasons. He was a 2016 AFCA National Assistant Coach of the Year Finalist. Parker received his Bachelor’s degree from Virginia Union in Mass Communications and his Master’s degree in Sports Leadership/Athletic Administration from Virginia Commonwealth University as well as his Ph.D. in Sports Management from Northcentral University.